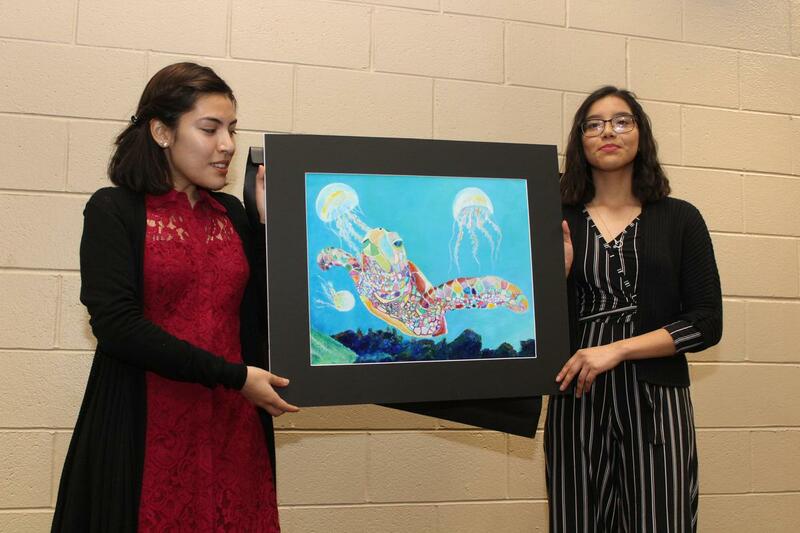 The Visual Arts teams from Manor Senior High School and Manor New Tech High School received another honor; this time from Baylor Scott and White. 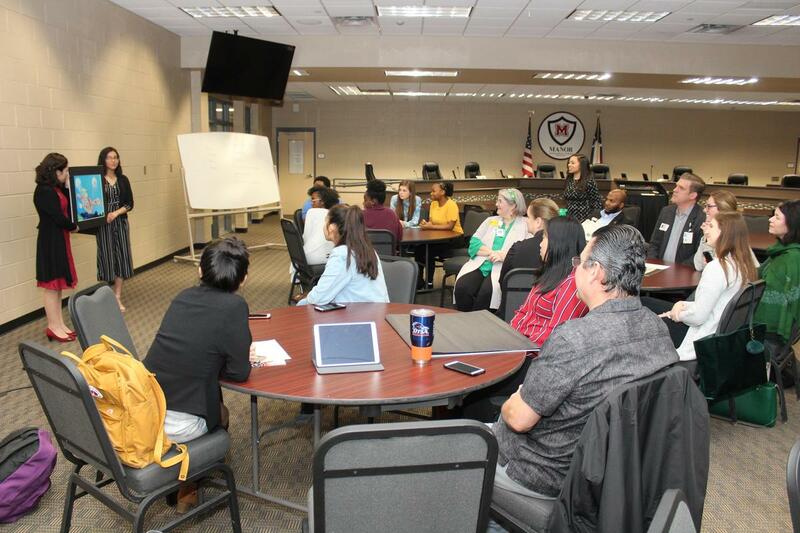 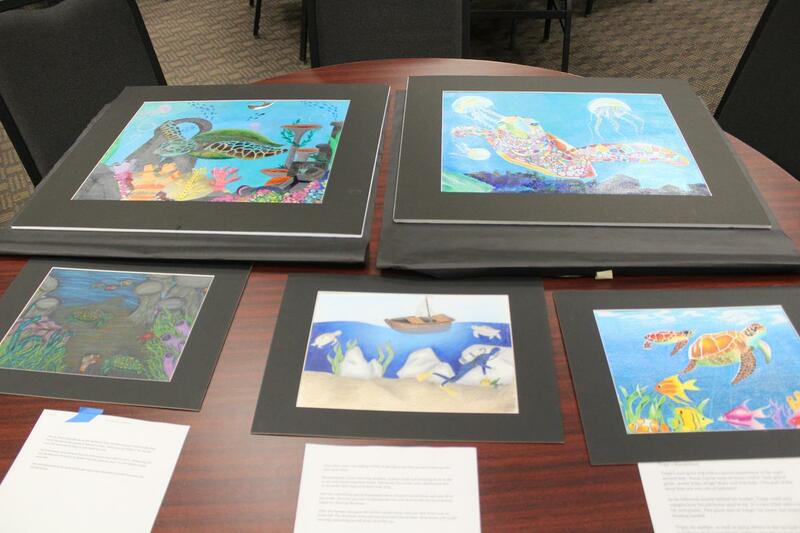 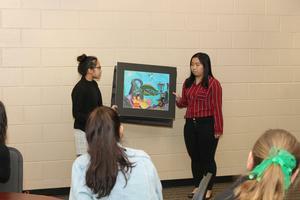 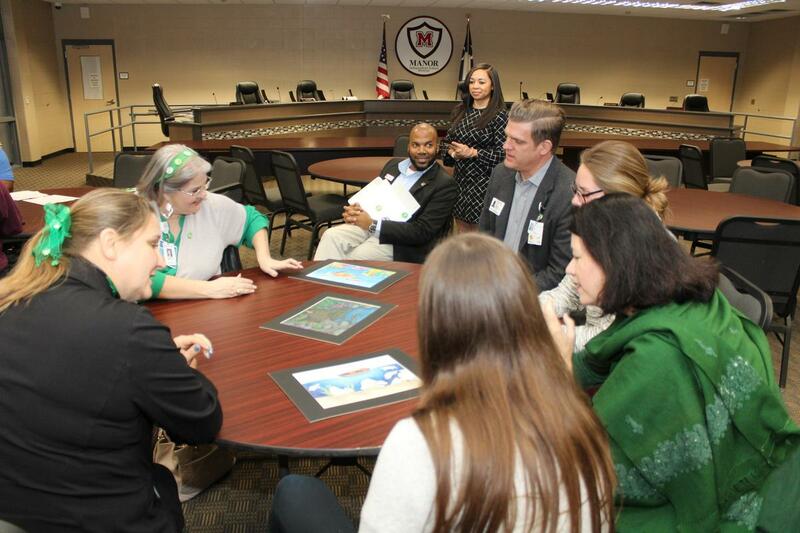 Students from both campuses presented their mural projects to a team of professionals from BSW. 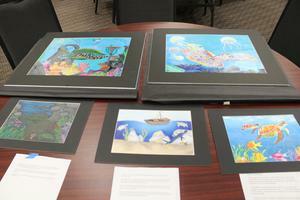 All five murals will be hung around the new clinic in Manor; and one was selected to become a mural for the new pediatric room. Last November, students were asked by BSW to create a mural with the theme of "Under the Sea" in blue and green colors with a sea turtle. 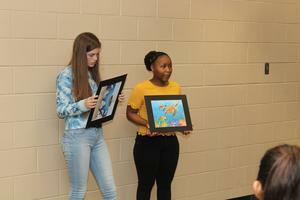 They were also required to have a story behind the design, dress professionally and present their artwork to the BSW representatives. "These are some talented teams in Manor ISD," said BSW Manor Clinic Manager Al Ryba. "We were looking for something that would make children under the age of five to feel happy when they visited the pediatric room. 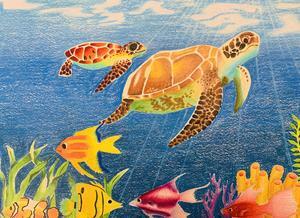 We're very proud to put them up in our clinic. We're excited to see the vision and collaboration come together." 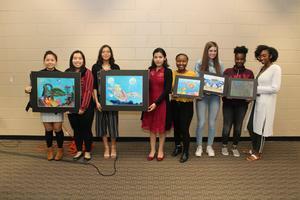 The winning entry was "Tripp's Wonderland" by MSHS Senior Immaculee Munguyuko! Her piece will be recreated in the pediatric room in the next few months. 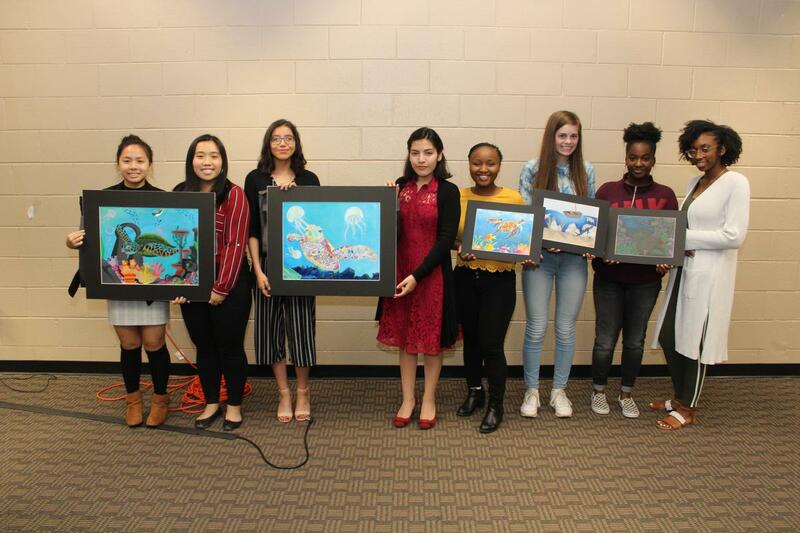 Members from both programs recently advanced to the state level competitions that will be held in April. 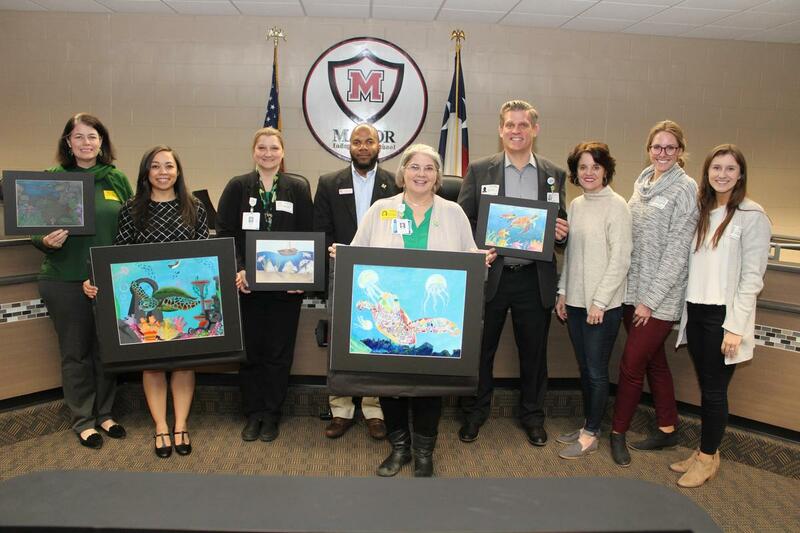 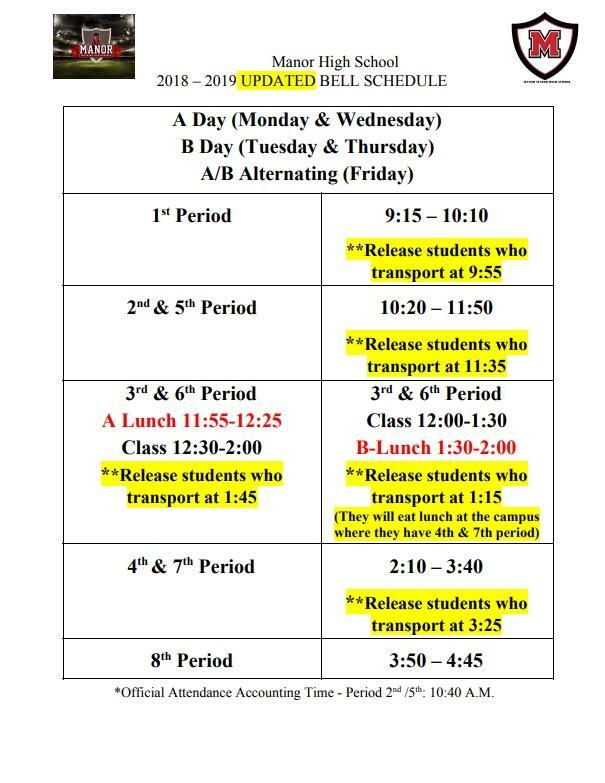 Congratulations to all of our participating students from everyone at Manor ISD!